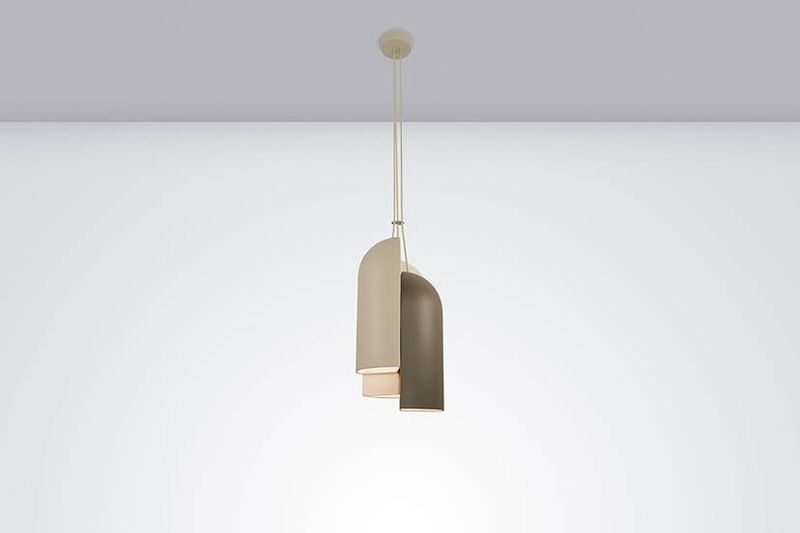 Three-colour suspension lamp. Consists of three light bodies with a ceramic shade. Three-colour: earth, stone, and sand. The bodies' heights can be independently adjusted. Finish: earth, stone and sand, all in texturized matte, with shade interiors in satin white. Available in two sizes. Optional, monochromatic version.